Software development process involves several phases such as requirements, design, implementation, verification, and maintenance, however, very often most efforts are dedicated to design and implementation while verification is neglected. Under verification we actually mean quality control which is essential. Let’s start with quality assurance definition. It is a process that ensures the software meets the defined specifications and complies with standardized development requirements. Because this is an ongoing process it is suggested to routinely check the software functionality and to ensure the product meets the desired quality measures. Engaging a separate company to provide Quality Assurance services (from the core development team) has been demonstrated to promote more accountability and result in a better overall quality of the product. YouTeam leverages the knowledge of its QA partners in implementing the most relevant testing methodologies and test cases to thoroughly screen for inconspicuous bugs, which may be missed by inexperienced or internal quality assurance engineers. YouTeam leverages the knowledge of its QA partners in implementing the most relevant testing methodologies and test cases to thoroughly screen for inconspicuous bugs. Furthermore, engaging an external QA partner means that the Client (Project Owner & Product Managers) can receive honest feedback about whether the quality and productivity of the development component is acceptable. In the case that there is room for improvement, feedback from our QA partners will be provided to the development teams. This, in turn, will result in a continuous improvement loop of our R&D partner organisations (software development houses) forming to ensure the quality assurance testing services are delivered appropriately. Product Managers and Product Owners we can pick and choose which ideas to implement as part of the next release. We have found that this often leads to greater usability of the resulting product. Looking to hire software developers for your project? As for QA tester hourly rates, they range from $10 to even $70 per hour on the recruitment market depending on the complexity of your project. However, if you are looking for middle QA testers within nearshore software companies (but not freelancers obviously), then you’ll find quite competitive rates from $27 to $34 per hour. 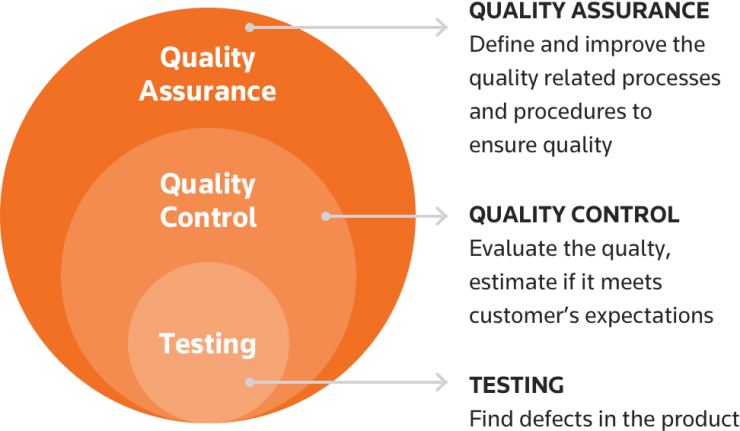 QA software testing very often is underestimated by business executives who believe the product or services should be delivered of the appropriate quality from the beginning. Which is why you contracting professional QA agency not a freelancer, right? In fact, it’s not only about quality control of the written code but also even more about the core user flow logic or the approach to perform specific product’s functions. Following the quality check report, product owners might sometimes even decide to rebuild some modules not because of bugs but logic errors from user’s perspective. QA tester hiring process usually requires the same approach to be taken while shortlisting and interviewing candidates as when hiring a developer of any other expertise. However, what if you have your candidates already hand-picked for your project? We’re not kidding. Check out the profiles of available QA engineers found in pre-vetted software agencies.